A can't miss morning brief that starts your day informed and entertained. Numlock sets politics aside and highlights cool stories buried in the news and features stories you won't otherwise find. Sign up and try it out! 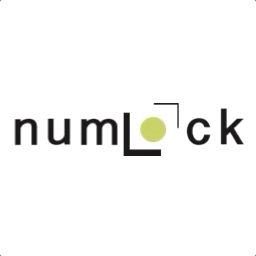 Liking Numlock? Forward today’s email to a friend you think may enjoy it and might subscribe. For some time now, Facebook has reportedly been negotiating with the FTC about the extent of a fine they would face for their myriad privacy violations. Investors have been holding their breath, as the extent of the fine has been whispered in awed and hushed tones like Vikings used to talk about the dragons that lived on the other side of the map. Well, Facebook announced earnings yesterday and said they’d squirreled away $3 billion in anticipation of a $3 billion to $5 billion fine in connection with an ongoing inquiry. The FTC’s largest fine for a technology company was previously $22 million, with an “m.” Wall Street — itself no stranger to making public recompense for their lapses — interpreted the disclosure as outstanding news given that the company books $15 billion a quarter in revenue. Peloton sells expensive workout machines linked to a service that streams workout classes, replicating the experience of going to a gym without having to be regarded by the fit regulars who know what you’ve done. Last month the company was sued for $150 million by the National Music Publisher’s Association, which argued that it hadn’t paid royalties on songs it streamed during those workout classes. I imagine the Peloton legal department participated in a few enthusiastic telephone conversations with programming, as customers paying $468 per year have taken to message boards to vent that the music selection in workout classes has taken a considerable dip, with some citing songs that seemed to be pulled from Now That’s What I Call Music! rather than the genuine articles. Based on my brief experience as a rower, it’s unclear what the issue is when Peloton could just play Rihanna’s Disturbia on a loop for maximum effect. NASA announced a training exercise to be held with the Federal Emergency Management Agency and a number of international partners to simulate what would happen in the event of a fictional near earth object impact scenario, or what would happen if they detect an asteroid that could hit earth. The agreed upon threshold where NASA and its international counterparts pull the proverbial fire alarm is when an object would pose a 1 in 100 chance to hit earth, at which point the international community would act. This is the seventh such impact exercise, and isn’t just an Armageddon LARP sesh. They’re opportunities to prep for how we’d actually react to such an event and how multiple agencies would best communicate threat, not merely to delegate Steve as the guy who has to fly to the oil rig. A number of AMC cinemas are marked to smell absolutely terrible on Monday, with 17 movie theaters planned to remain open over the four day period from Thursday through Sunday night. Another 18 theaters will be open for at least three consecutive days, and another 29 will be open around the clock Thursday and Friday, which honestly sounds normal. The demand for Avengers: Endgame evidently necessitates a 96-hour marathon that will leave cinemas smelling like a Sakaarian popcorn machine in a mead hall on Svartalfheim. In the past 19 years, 262 women have appeared on the cover of 228 issues of Vogue magazine. These women tended to be white. An analysis of these covers using facial recognition technology found that the women who appear on the cover have begun to shift. From 2000 to 2005, only three of 81 cover models were black: Marion Jones, Halle Berry and Liya Kebede. Since then the magazine has welcomed and featured a broader range of skin tones, even if a majority of women who appear on the magazine are still white or lighter-skin. Interestingly, some of the variation appears to be done in post: across Rihanna’s five covers, her skin tone lightness spanned 40 percent of the range the analysis observed, indicating that there were deliberate post-processing choices made beyond model selection that defined Vogue’s aesthetic. A fascinating analysis of what America thinks it can talk about finds wide disparities between what we can and should discuss: 72 percent of Americans said they agreed “the 'rules' about what you can and cannot say are changing so fast it's difficult to keep up.” In a crosstab that made me utter “yikes” repeatedly under my breath for about ten minutes, 56 percent of Americans agreed “it’s unfair that some groups can use certain phrases to describe themselves, but I can’t.” But there was a pretty considerable divide on that one: the viewpoint was shared by 43 percent of Democrats and 74 percent of Republicans, and also 59 percent of white respondents compared to 41 percent of Black respondents, 47 percent of Asian respondents and 50 percent of Hispanic respondents. The reality is that “politically correct” is a super loaded term. While 34 percent considered themselves “politically correct,” a full 75 percent said they “avoid saying and doing things that could be perceived as insulting to people who are different than them,” which drives at the aspired meaning a little more effectively. Netflix is coy about what actually gets watched, but based on some Nielsen data, The Office is a fairly essential component of its offerings, accounting for about 3 percent of what gets streamed. Between August 2017 and July 2018, The Office was streamed for 45.8 billion minutes on Netflix according to the estimate, which is considerably higher than the 31.8 billion minutes spent watching Friends, another of their heavy hitters. Warner Bros., Disney and NBCUniversal are all pursuing streaming services of their own at various paces and collectively own properties in Netflix’s library that account for 57 percent of the streamer’s total view time. This gives Netflix a fairly unavoidable deadline to get some hits off the runway. Thanks to the paid subscribers to Numlock News who make this possible. Subscribers guarantee this stays ad-free, and get a special Sunday edition. Consider becoming a full subscriber today. Thank you so much for subscribing! If you're enjoying the newsletter, forward it to someone you think may enjoy it too! 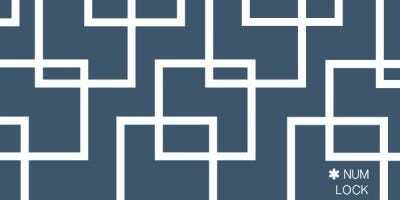 Send links to me on Twitter at @WaltHickey or email me with numbers, tips, or feedback at walt@numlock.news. 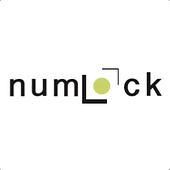 Send corrections or typos to the copy desk at copy@numlock.news.